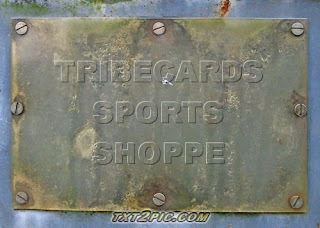 Indians Baseball Cards: Congratulations! You're the proud owner of a card store! Congratulations! You're the proud owner of a card store! If the words above were uttered in your general direction, what would your thoughts be? If you could outfit your own card shop/hobby store, what would you want in it? This should probably be a bat-around.. LOL! Oh well, I am posing the question for all to answer, anyway! What products would you want to see, what ones would you NOT want to see? Would you make it a 'hobby' shop, or sports-only? In addition to cards, what would you sell? How big of a store would you prefer (small mom-n-pop, standard retail size (think HobbyTown USA), or some kind of megastore (think HobbyLobby but only collectibles))? Would you make an online counterpart (eBay, standard eCommerce, etc)? Have fun with it! And thanks for stopping by. I'd probably open it to all hobby cards - why isolate potential customers? I don't know anything about yu-gi-oh or Pokemon or whatever else is out there, but it seems to be big business. Ideally I'd like to have something for everyone, from cheap to high end. I would absolutely make sure to carry storage products since those are so hard to find in brick-and-mortar stores, not to mention the fact that they have an infinite shelf-life. I'd be hard for me to resist opening everything myself, so if I "won" a fully stocked card store I might do that instead!! Are you sure this is a random question or are you looking for ideas ?! I really would like to do that when I retire ! "Baseball,Hot Dogs and Apple Pie" would read the sign above the door. Seriously ! It would be a Mom and Pop ,or in my case maybe Pop and Sons.I'm thinking mostly sports cards,collectibles and memorabilia.A fairly large screen tv with seating for friends and customers to stop in,grab a "dog"and watch various events.I would probably be heavy in baseball but carry other sports products as well to try and keep year round business.Like Joe said,supplies would be a necessary item.I would deal mostly in lower cost products with special orders available for high end items unless I developed regular customers who requested certain items.I'll sent you an invitation to the grand opening ! My comments are on my blog.